It won't come as a surprise to a single parent out there when I say that my kids are a little... unpredictable in the morning. Does it matter if they got a good night's sleep or are wearing their favorite shirt? Nope, it's still going to be a guess whether they might walk down those stairs full of sunshine to share or anger at the world. Fortunately, there is one aspect of our routine that typically can bring them both out of any sort of funk (or increase their cheerfulness) that we never skip: breakfast. You've heard it before, and it's completely true. Breakfast really is the most important meal of the day! After eight to 12 hours without eating, our bodies and brains are ready to refuel — particularly kids. We've also all heard the stats that kids who eat breakfast achieve higher standardized test scores, have an easier time concentrating, and in general have a healthier weight. In fact, more than a quarter-century of research supports a positive link between breakfast and mental and physical performance. So, encouraging your kids to eat breakfast will not only help them get the most out of their education, but put them on the right path to a better life for their mind and body! Yet... nearly one in five children across our communities go without breakfast every day, a statistic that can only be described as heartbreaking. But instead of simply acknowledging this problem and moving on, Kellogg's has made it possible to make a difference with their 3rd annual Share Breakfast movement. Did you know that it is National Breakfast Week (March 4-8)? That is even more reason that now is the perfect time to join Kellogg's in their mission to share breakfast to those in need! 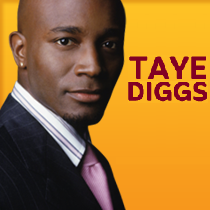 Together with their celebrity spokesperson, Taye Diggs, Kellogg's is leading the charge to help end childhood hunger and is rallying families across the U.S. to help provide breakfast for kids who need it. 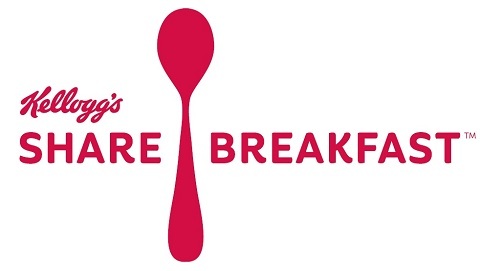 For this 3rd annual Share Breakfast movement, Kellogg's and philanthropic partner Action for Healthy Kids has made it extremely easy for families everywhere to join in the effort to share one million breakfasts to children that may otherwise go without — through social media! By completing simple tasks such as sharing videos, tweeting, "liking" or "pinning," you can help Kellogg's raise up to $250,000 in grants to go towards school breakfast programs. Just one click and you'll be helping an amazing cause! If you agree with Kellogg's that a wholesome breakfast can help our kids reach their full potential every day, please join them in their Share Breakfast movement this year. Simply visit the Share Breakfast website and perform any and all of the following actions to help them reach their donation goal of 1 million breakfasts shared! Together, we can make a difference in the lives of children in need and now, during National Breakfast Week, it is even easier than ever. Put your social media to work for something positive this week and beyond and head over to the Share Breakfast website to make a difference! Well that's a saddening statistic! I didn't realize it was such a high number of kids that don't have a source to get breakfast. Kelloggs created a great program because the tasks we can do to raise money are not hard. Just tweeting or pinning a few times can increase the amount they can give to kids who need it. Thanks for sharing!